Just a reminder that Easter is coming. 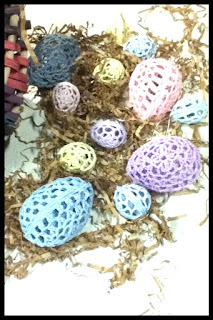 I did not make these eggs, but I am sure I could. These are in display at a doctor's office.